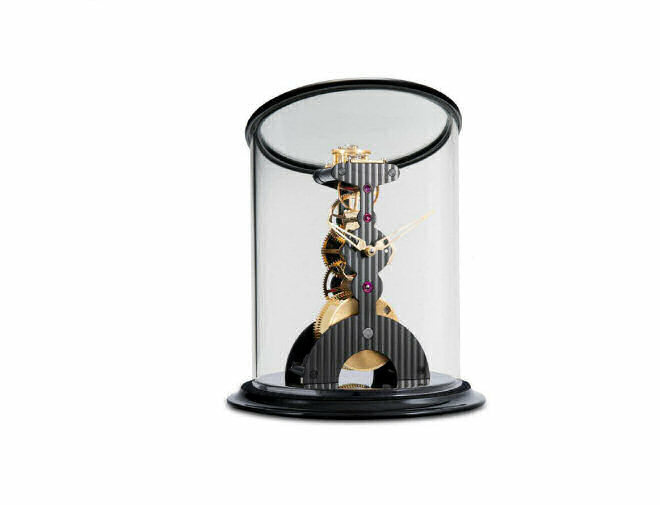 Balthazar is a sophisticated and imposing high-precision robot rotating clock displaying jumping hours, retrograde seconds and a 35-day power reserve. 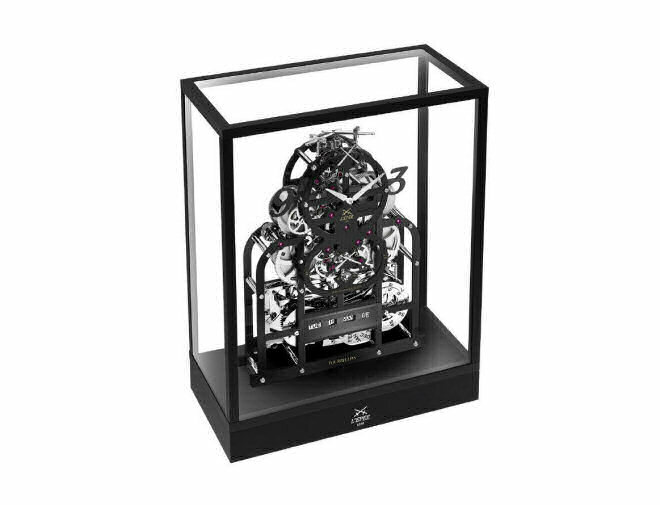 Weighing in at over eight kilograms and standing nearly 40 centimetres tall, Balthazar is L'Epée's latest creation, in collaboration with MB&F. Rotate his torso 180 degrees and discover a terrifying Balthazar, along with a dual hemisphere moon phase indicator that should help you anticipate the evolutions of your mood. To quote Darth Vader in Star Wars, "If you only knew the power of the dark side." Moving higher still to Balthazar's "brain" under the polished glass dome, we find the precision regulator of the clockwork. The animated balance constantly oscillates to let you know that while he may be standing still, Balthazar is always calculating. Balthazar rotates around the hips like the high-precision machine that he is; you can feel the miniscule bumps of each micro-roller as he turns, and each distinct notch when he rotates the full 180?. Then everything changes: smiling Balthazar becomes very dark, or vice versa. Finally, Balthazar's shield conceals and protects the secret of his awesome power: an integrated clock-winding and time-setting key. 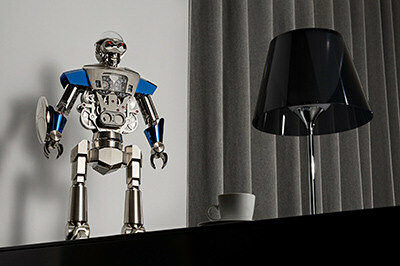 Developing Balthazar's movement required such significant modifications to the previous movement that L’Epée had created for Melchior (MB&F and L’Epéefirst cobranded robot-clock) that it is basically a new movement. 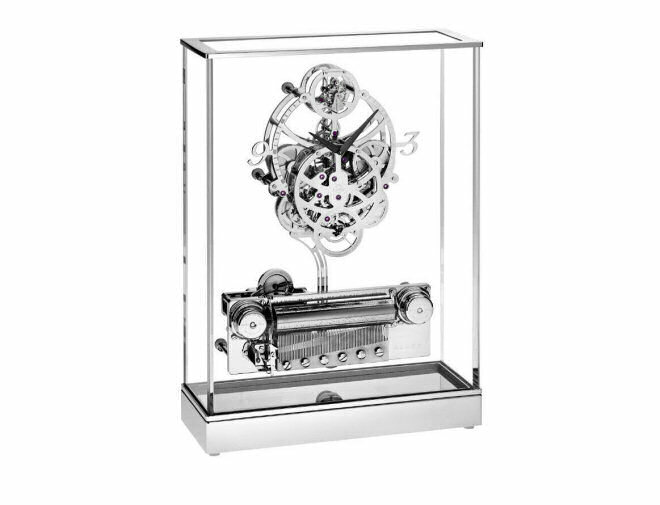 As well as the addition of a double hemisphere moon phase complication, Balthazar is around 30% taller than Melchior so an additional gear train was required to connect the regulator with the rest of the clockwork. Every detail that makes Balthazar unique in its genre required many hours of research and development. Examples include the complex machining on the breastplate, the spurs on the feet with their telescopic effect, or the mobile arms and hands. Balthazar?s shield, which cleverly incorporates the key while facilitating its operation, also proved a real challenge for the Manufacture. To quote Maximilian Büsser, MB&F founder, “L’Epée 1839 are amazing, a joy to work with, They always step up to the plate, no matter how original, how challenging the design”. Surprisingly, because of Balthazar's size – and he is even heavier than he looks – manipulating any of Balthazar's joints and even the moon phase indication is extremely tactile. 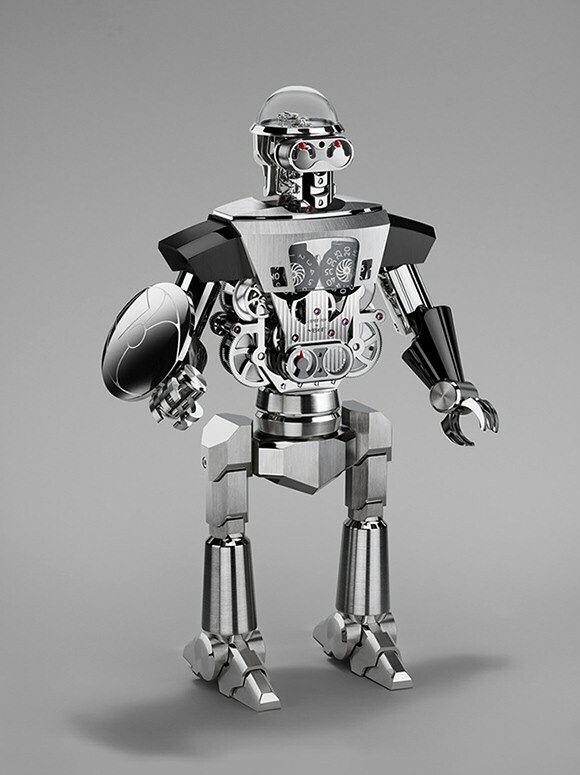 Moving anything on this robot is like gently closing the door on a high-end German sedan; it's the type of feel that requires much more than excellent high-precision micro-engineering capability, it requires caring deeply about touch, sensations, and even sounds from the outset. Balthazar is built to watchmaking precision by a team that cares deeply, you can feel it. Balthazar is full of surprises: joints move in ways that astonish (and it's astonishing that some move at all); motions feel so wonderfully better than you expect that you want repeat them again and again. The build quality continually surprises and it's hard to emphasise just how solid Balthazar feels. Then there is yet another surprise: the double-depth square-socket winding/time-setting key integrated neatly into the shield, which naturally slips in and out of its concealed niche with horological precision. And for those who look very carefully into those eerie, ruby-red, Terminator-style eyes set deep into Balthazar's skull, there is an ultimate surprise perfectly illustrating just how seriously the team takes the notion of form-follows-function. Those red eyes are actually the ruby bearings that support the 20-second retrograde eye displays on the other side of his face. With a normal jumping hour indication, between five minutes to the hour and five minutes past it can be difficult to know if the jump has occurred or not. So L’Epée developed a ‘slow’ jumping hour, which sees the hour disc remain static for 55 minutes and then ? rather than jump instantly and risk the jump being missed – start to turn five minutes before the hour. The jump is so gradual that it can be easily seen. 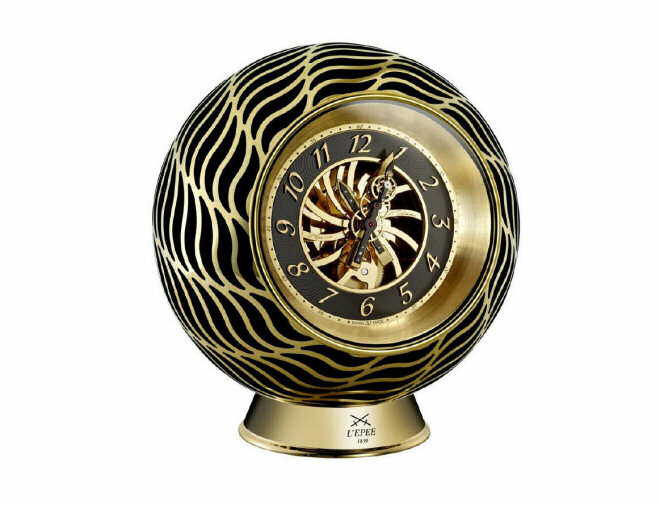 As a prestigious and historic clock brand, L’Epée has been enjoying the high reputation of its exclusive Manufacture for many years. This year L’Epée celebrates its 175th anniversary thanks to all those passionate enjoying those luxurious timepieces. 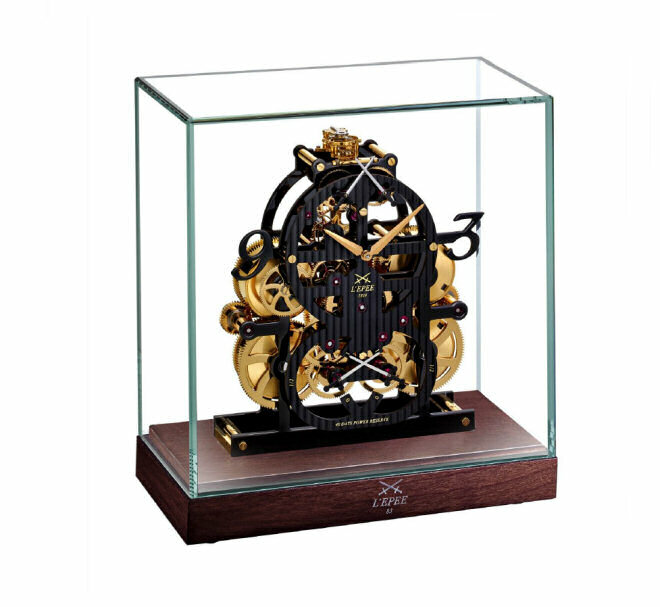 Respecting its long tradition, each L’Epée clock is made by experienced watchmakers. The company draws from its rich history the watch-making know-how to conceive clocks that rely on technological legacy to better project themselves into contemporary products and Art. Nowadays, its production facilities are integrated in Swiza SA Manufacture. Through the past few years L’Epée has been working on sophisticated timepieces with special complications such as Tourbillon, Perpetual Calendar, double Retrograde Second, dedicated Power Reserve Indicator... To celebrate its 175th anniversary, they have not only one but two new timepieces with complications to introduce. 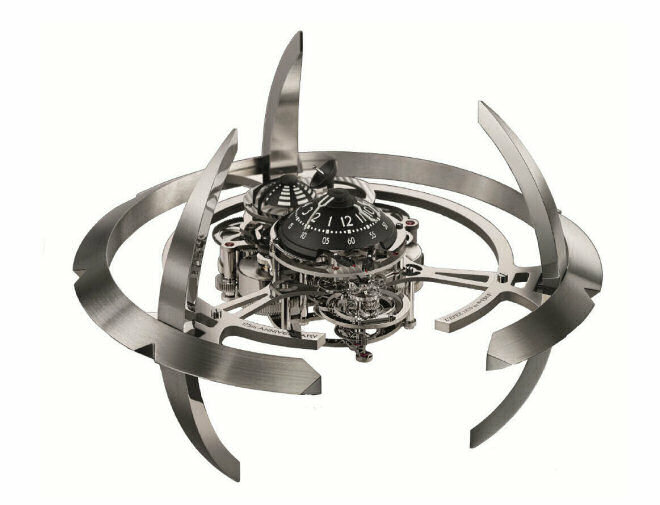 The first one is a flying tourbillion on top of 35 kilos of Titanium created in collaboration with the famous Vincent Calabrese, and the other one is a pure piece of Art inspired by Star Trek?s vessels and designed by one of the most famous designer MB&F. Let's not forget, our Duet, 46-jewel 40-day movement combined with a Reuge music box! The perpetual development and improvement of our movements and clocks are part of the philosophy of L’Epée Manufacture. This is a long process of research and of creation, which today enables L’Epée products to fully satisfy the demanding quality standards sought by Swiss Made aficionados.